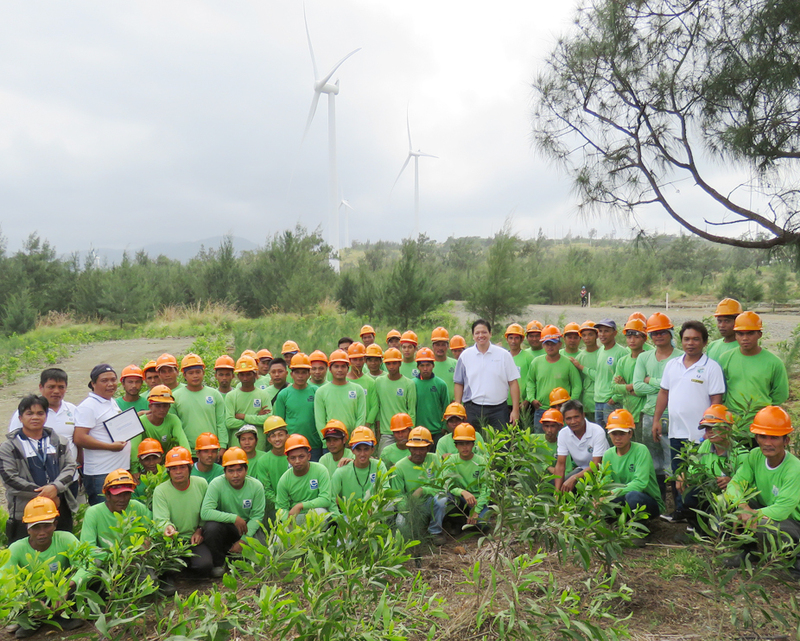 Three years since it started its reforestation initiatives in the mountains of Pagudpud, North Luzon Renewables (NLR) has completed and even exceeded the replanting requirement set by the Department of Environment and Natural Resources (DENR). As of September 30, 2017, NLR has planted 209,874 seedlings within the vicinity of its 81MW wind farm in Pagudpud, Ilocos Norte with a survival rate of 94%, going beyond the required 205,000 goal set by DENR. NLR’s wind farm stretches across the 625-hectare forest area which the company develops and protects under the Forest Landuse Agreement (FLAg) with the environment department. “We’re happy to say we’re able to keep true to our promise [of preserving the forests] and we hope that we can continue to be a partner of the DENR in our reforestation initiatives and biodiversity projects,” said NLR President Miguel de Jesus. As part of the next steps, AC Energy, with the support of the other shareholders of NLR, will take the lead to start an agro-forestry project in a four-hectare pilot area within the NLR wind farm. Professional agro-foresters will help equip an initial batch of 20-30 individuals with the necessary skills in growing fruit-bearing trees. This is in line with the local government’s push to provide sustainable livelihood opportunities to the residents and attract more tourists to visit Pagudpud not only for its scenic spots but also for its fruit produce.